Welcome home to this highly desirable Magenta floorplan, featuring gourmet kitchen with Viking Stainless Steel appliances, granite counter tops with bar seating, designer lighting & brand new carpet! This absolute move in ready, bright open 2 bedroom with 1 bath floorplan will impress! The amazing community features of Grand Central includes: 2 pools and spas, fitness center & club house, expansive outdoor entertaining areas with outdoor grills, secure pet walking areas & security concierge. 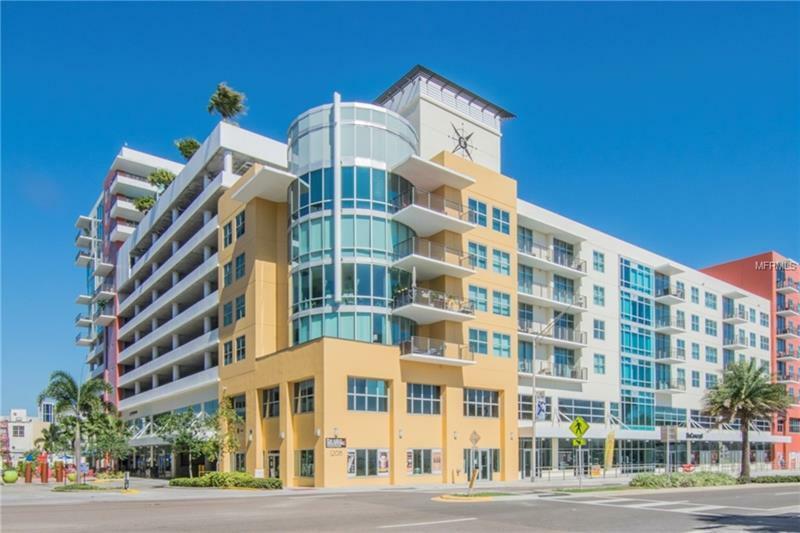 Situated in a prime location, conveniently located near downtown Tampa, Hyde Park and MacDill AFB and walk to fabulous dining, food trucks, theater, Amalie Arena & Sparksman Wharf. This is a truly MUST SEE condo and a wonderful secure place to call home!